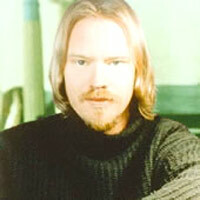 Shawn Mullins Biography, Discography, Music News on 100 XR - The Net's #1 Rock Station!!! Born in Atlanta, Georgia USA, on March 8, 1968, multi-instrumentalist singer+songwriter Shawn Mullins was exposed to music at the early age of 4 by his grandfather, who was a big band player and began writing songs and producing cassettes in grammar school. After attending North Georgia College, a military school where he studied music, he graduated and was commissioned to the U.S. Army Airborne Infantry. In the early '90s, Mullins left the military and he started releasing his music through the independent label, SMG Records. "Better Days", his debut full-length album came in 1992, the single off this CD, "This Time Last Time", enjoyed some college airplay and with this album's release, Mullins began to enjoy a steadily growing fan base in Atlanta and throughout the Southeast. Two years later, his second effort, "Big Blue Sky", attracted even more radio attention, especially with the single "Lately" and won fans in the Indigo Girls, who invited Mullins on the road for a short stint in the Midwest. During 1995 Shawn Mullins and Matthew Kahler were doing monthly shows together, they decided to capture their special musical chemistry in a live recording and SMG eventually released two different live albums. The Atlanta-based artist returned with a solo album, "Eggshells", a year later; this album is acoustically routed, front and center; no bass or drums, just Mullins's voice and his guitar; it included the acoustic version of "Shimmer". Mullins hit the limelight in 1998 with his massive commerical breakthrough "Lullaby", it peaked at #7 on The Billboard Hot 100 and smashed into the top 10 of the British Pop Singles chart; "Lullaby" also became #1 on multi-format radio, topped out at #9 on the U.S. Modern Rock Tracks chart and it helped send his major-label debut album, "Soul's Core", to #54 on The Billboard 200 upon its summer release with over 2 million copies sold worldwide; a second single, the aforementioned "Shimmer", entered the Adult Top 40 chart at #27. In October 2000, he delivered "Beneath The Velvet Sun", his second album for Columbia Records, it featured two singles, "Up All Night" and "Everywhere I Go", the latter of which inched into the Billboard's Adult Top 40 chart reaching the #13 spot. After a five-year sabbatical, Shawn Mullins issued in February 2006 an acoustic-based CD titled "9th Ward Pickin' Parlor" on Vanguard Records; the disc debuted into the top 40 of the U.S. Independent Albums chart and was a somewhat unexpected gem that even yielded a minor hit in "Beautiful Wreck". "honeydew", inexplicably spelled with a lower case 'h', followed two years later; it features the single "Nameless Faces". 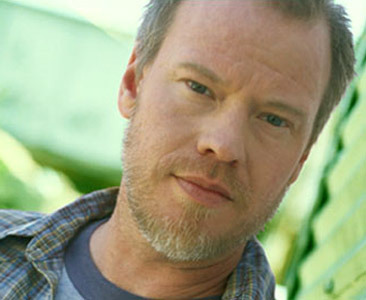 In October 2010 Shawn Mullins released "Light You Up".